The wait is over! 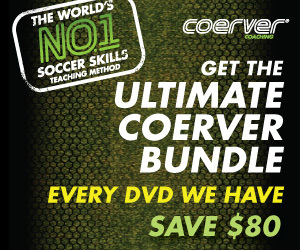 The Coerver Coaching and Kristine Lilly eBook for women's soccer is now available! If you want to become a better soccer coach or player, then get the Coerver Coaching eBook, it will make you a smarter on the soccer field. Kristine Lilly has partnered with Coerver Coaching, the world’s number one soccer skills teaching method, to help women's soccer players and coaches get better. Together, Coerver and Lilly have created a brand new Ebook called, “Girls Soccer: Dream, Believe, Achieve”. The Kristine Lilly eBook is a 74 pages and also interactive, which you can easily download to your computer, tablet or mobile device. If you're involved in coaching female soccer players, are a parent of a female soccer player, or are a female player, you'll want to check out this new Coerver Coaching guide by Kristine Lilly. Coerver Coaching, widely regarded as the worlds number one soccer teaching method, and legendary U.S player Kristine Lilly, have launched a long term partnership aiming to improve women’s soccer. And now the Kristine Lilly eBook is here. We really look forward to working closely with Kristine Lilly to help develop the next generation of skillful female soccer players & coaches globally. Kristines playing career is second to none in world soccer and her insights and life lessons are sure to help future players and coaches." 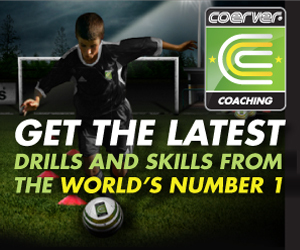 I have been using the Coerver method since I was a really young player. It certainly helped me in my career and I strongly believe its the best way to coach players. I believe our partnership will help players of all abilities realize their potential both on and off the field." But that’s just how the training is delivered. The training is based on what others have called my unique experiences as a female soccer player: playing on the boys team, on my Varsity high school team, playing at the University of North Carolina, playing professionally for the Boston Breakers and finally my experiences playing for the United States National Team. Plus, it contains insights I’ve gained from teaching both boys and girls all across the country. Lilly said her goal is to help and inspire you by sharing my experiences of playing and teaching soccer. And, it doesn’t matter if you’re a soccer coaching newbie, or you’ve been teaching for years.